It’s that time of year again. Whether you’re going to fest, wishing you were there, condemning the “mainstream” crowd that is, or have turned on an LA radio station any time recently, Coachella has crossed your mind. This piece is for the people like myself who couldn’t be more excited to be heading out to Indio in a few weeks. One thing about Coachella that is conveniently amazing is how relatively little the festival has changed since I’ve been attending. This will be my fourth Coachella in a row, and because of this beautiful sameness, I feel like a Cy Young award winner walking to the mound when I first step foot on the Polo Grounds. Coachella is my yearly vacation, and after years of becoming familiar with the festival I’ve learned a few tips and tricks that can help you maximize your good time. Like any festival, there are certain times when a lot more people will be arriving. However at Coachella, because they allow ins and outs (also awesome) these times are staggered throughout the day. 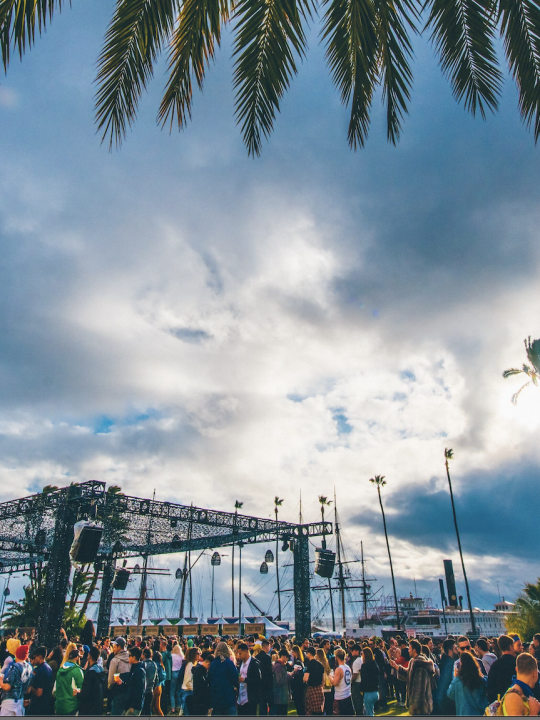 The worst times to try to gain access to the main festival grounds are from 1PM to 3PM and from 5-7PM. The first wave is from the people who wake and arrive in a timely manner, and the second wave is a result of the people trying to escape the heat. Music starts at 11 or 12 depending on the stage, but most people aren’t interested in those artists, so it might be worth it to come a couple hours earlier. It might seem lame to spend more time under the scorching sun, but other than a swifter entry, lines for everything will be shorter, you might discover some great new music, and you’ll have first dibs on the best spots to escape the heat. The same way that drivers flock to main roads because they think thats the fastest way to get everywhere, people attending Coachella flock to the green path. The green path is the one that heads past the general store up main street. Many people don’t realize though that there is a blue, yellow, and red path, all of which lead to the same front entrance. If you stick to these paths, the entrances are guaranteed to be shorter, and it’s also likely that the day parking lots they lead to will have much fewer cars in them. Even though there is great music happening all day at Coachella, it’s likely there will be a gap of a few hours where nothing really grabs your ear. So what to do during that time if you don’t have a campsite and you don’t want to leave the fest? It’s the middle of the day so chilling on the grass might still garnish a light sweat, but there are more than a few options of where you can retreat to save yourself from the heat. – Firstly, the Heineken House. Granted, there will be lineup for the HH released in the coming weeks, but in no way does it compare to the musical presentation of any of the other stages. It’s basically like a bar. The AC is blasting inside, there’s a shaded outdoor patio with comfy chairs and couches, and of course a bar is no more than ten steps away at any point. 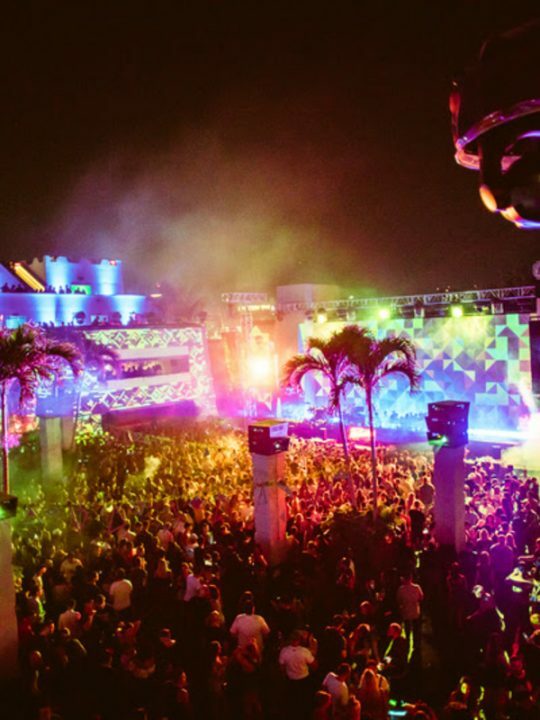 – If it’s crowded in the Heineken House the next best bet would the Sahara tent beer garden. Other than the multiple shade structures and extensive food and drink options, that beer garden offers the most isolation from music. Obviously you’ll still be able to hear the Sahara tent, but instead of blasting away it’ll be a light soundtrack. More often than not you’ll see a sound sleeper or two in there throughout the weekend. – If escaping the heat is your first and only priority and comfort doesn’t matter, be sure to check out the multiple indoor shops throughout the grounds. There may not be a spot to chill in there, but there will be people working all day and Coachella isn’t the type of festival to leave their workers stranded in the heat. There’s the record store, the H&M shop, and a few other random buildings that most Coachellites won’t be familiar with, but will offer a sweet relief from the sun. 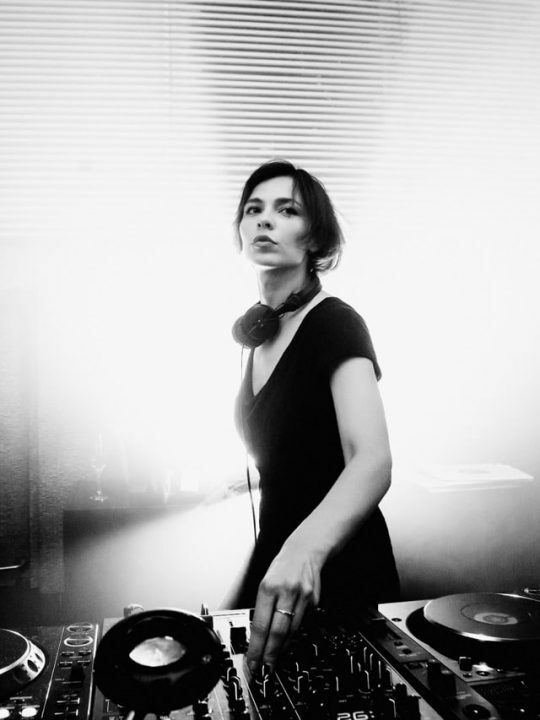 – The Do Lab and the Yuma Tent offer escape from the heat all day everyday. 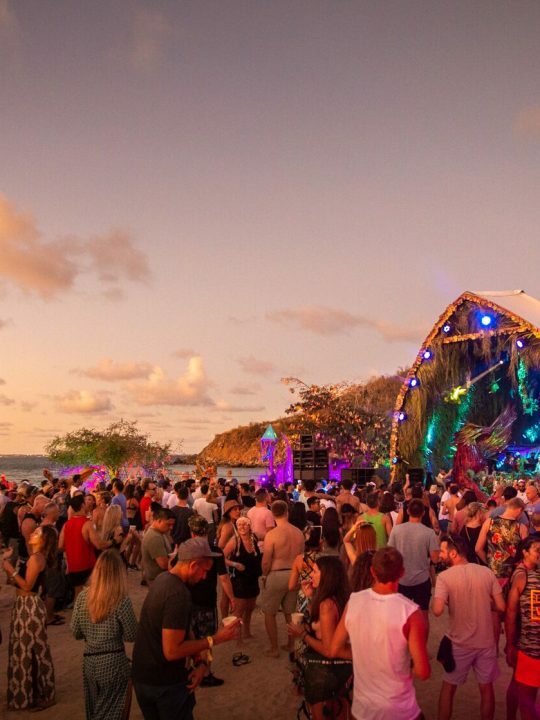 You might not want to be hearing the music while you’re there, but none of the artists at either of those stages will play raucous ear-shattering bangers. 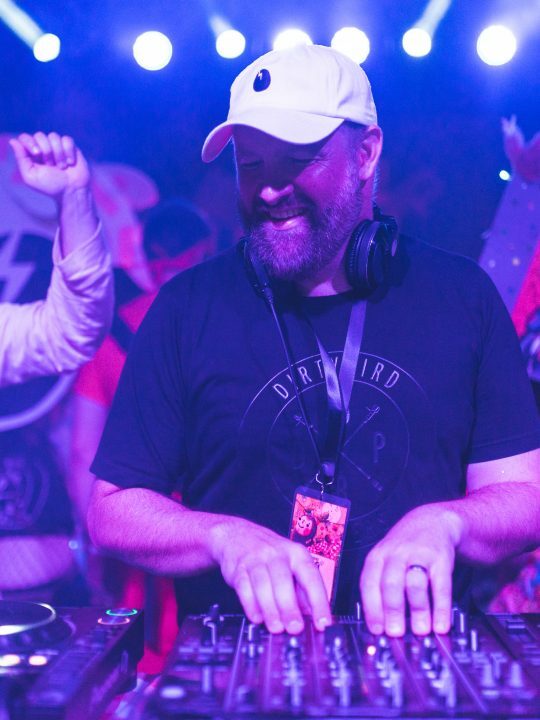 As they are both DJ stages, it’s the artists job to not only play music, but read the room, and everyone at those stages either wants to chill or dance. Nobody’s looking to rage so hard that they slam into the person next to them. Pro Tip: the Yuma Tent has enormous couches and chairs inside, placed directly under vents that are constantly vomiting cold air. While the general impression of festival bathrooms is that they’re disgusting cesspools, Coachella is one of the most efficient festivals when it comes to keeping them clean. Other than installing real bathrooms last year (hallelujah), there are several series of port a potties that are often lost on the general public. Most people don’t know that if you go into the beer barn, there is a path in the back you can follow that leads to a sit-down Mexican restaurant. Now, the restaurant itself doesn’t offer it’s own bathrooms (as far as I can tell), but there is a series of bathrooms nearby. We won’t tell you where, but keep an eye out. It’s almost always spotless. Another cool thing about Coachella is how centralized it is. 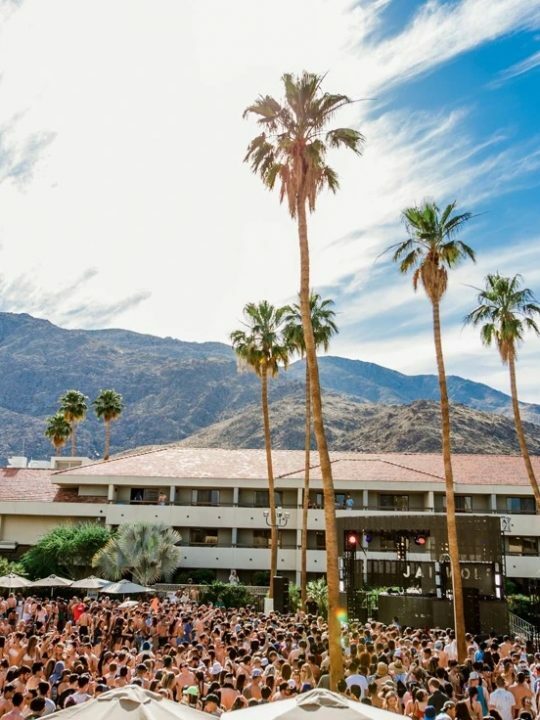 While a lot other festivals have you trek into the wilderness to find the smaller stages, Coachella fits 7 stages into a relatively condensed environment. However, this can also create issues when you’re trying to get from stage to stage. The best way to avoid crowds when navigating is to follow this piece of advice: If you’re leaving a stage at the end of the set, always leave through the back. The reason for this is because a lot of sets end at similar times, and with water stations and bathrooms in between stages, a set ending means that both crowds exiting will combine with the people trying to use the bathroom and get water in between the stages. It might seem harder to go through the back at first, but because the set is ending, no one will be trying to enter through that way, and you’ll be moving with the crowd. When it comes to navigating the festival as a whole, simply try to stay as far away from the stages as possible until you’re actually ready to go in. Seems simple, but most people don’t do it, which is why those areas remain clear for most of the day and night. I know I already mentioned them, but these two establishments are worth mentioning again. 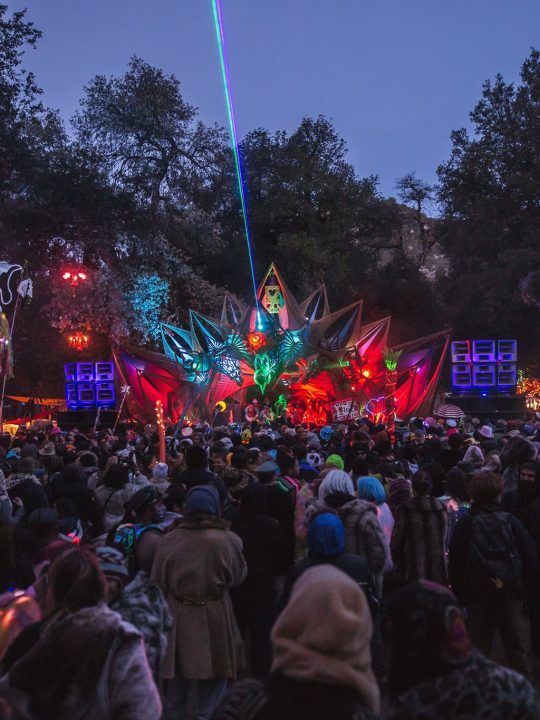 Not only are they constant sanctuaries from the heat, but these two stages curate completely different vibes than the rest of the festival. The DoLab is shady, misty, fun zone where you’ll find large scale sculptures, live artists, and probably some of the nicest people throughout Coachella. Because festivals are so popular in general now, many people long for something more personal and intimate. Well Coachella found a way to create that kind of experience within itself, and that’s what the DoLab is. Now, the Yuma Tent may offer the same complete escape from the sun, but the environment it curates is completely different from the DoLab. 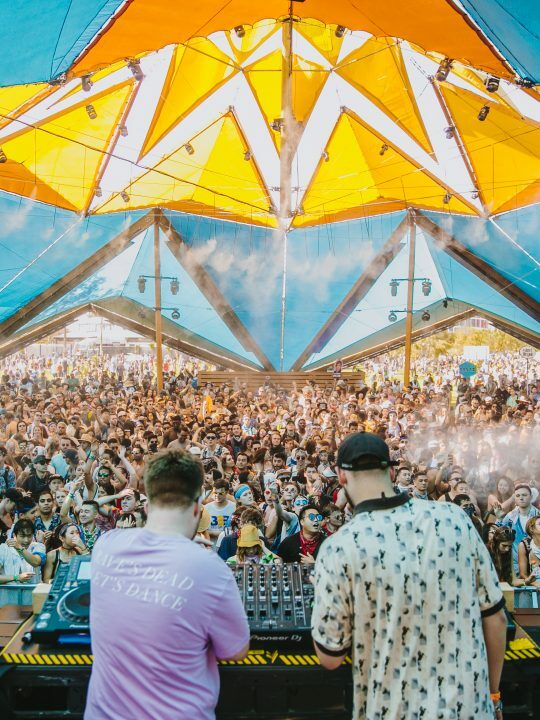 Only existing at Coachella for the past three years, the Yuma tent is Coachella’s response to rising popularity of more underground styles of electronic music. The beauty of the Yuma lies in the fact that the people behind Coachella understand that those types of music aren’t really meant to be heard on some giant festival stage, they’re meant to be heard in a dance club. Well, with several disco balls, minimal lights and lasers cutting through the darkness, and an opaque cloud of smoke over the DJ, the Yuma tent is a dance club with one of the most slappin speaker systems around. The best part is, when the Yuma tent reaches capacity, there’s still more than enough room for everyone to dance the night away. Even if you have no intention of sleeping at the festival, it’s still a good idea to have a campsite you can access. That way you won’t be forced to carry everything you brought the whole time you’re there, and you’ll have a designated meeting place throughout the whole weekend. Coachella has a lot of good food, but the fish tacos are something else. Don’t sleep on them. While Coachella does have more than a few free water stations around the festival, there is always a line at the worst (aka hottest) times. However, there is almost always a food or drink stand devoid of people, and every single one of those food and drink stands sells cold water bottles for $2. I don’t know about you, but that’s probably the cheapest I’ve ever seen water at a festival, and I promise you, they never run out. With the internet and social media being what it is, people are influenced by their peers more than ever, and chances are every one of your peers has an opinion about Coachella. Well, if this will be your first time going, I implore you to disregard them. Coachella is a one-of-a-kind festival that showcases music unlike any other fest in the country, and maybe even the world. People often complain about the vibes, or the crowd, or the mainstream-ness, but like the rest of things in life, if you approach Coachella with a positive attitude, everything else will fall into place.